The Canadian housing market was red hot in 2017, as prices reached record highs in markets like Toronto and Vancouver. Then, the Bank of Canada stepped in and hiked the overnight rate twice, from 0.5 to 1.0, with plans to continue raising it in 2018. Now, industry watchers are all wondering the same thing — what will higher interest rates mean for the housing market in the new year? According to the National Bank economics team, rising interest rates would make the housing market “an area of particular concern” in 2018. 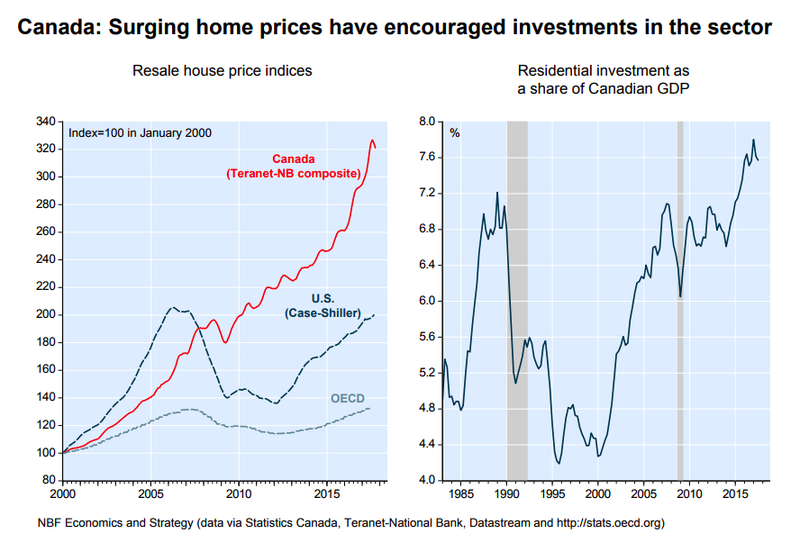 The chart above depicts residential investment as a share of Canada’s GDP since 1985, compared to house prices since 2000. As prices started to climb steeply in 2010, residential investment began to take on a larger share of the country’s economy. The team writes that higher interest rates would likely affect some markets more than others. 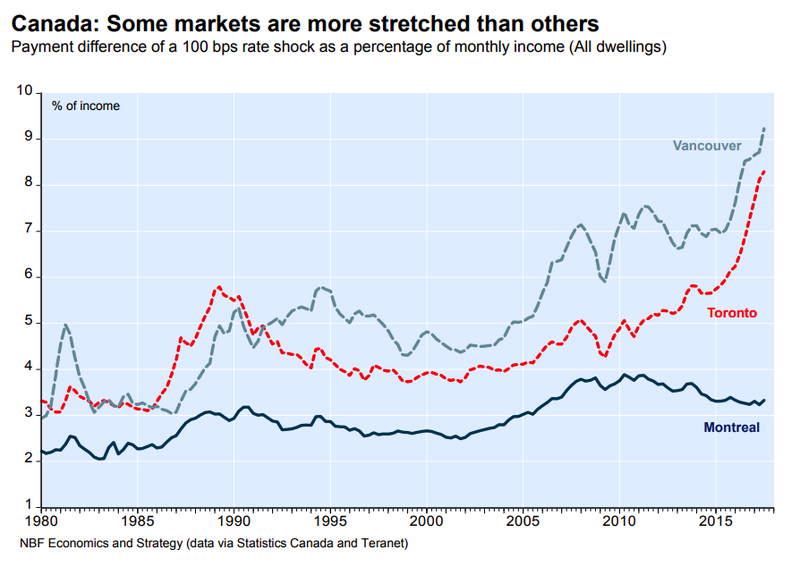 The above chart shows the potential effect of a 100 basis point increase in the overnight rate on the monthly income of homeowners in different cities. The Bank of Canada has already increased the overnight rate by 50 basis points in 2017, and is likely to raise it further in the new year. While the effect in Montreal would be minimal, due to its relatively affordable home prices, homeowners in Toronto and Vancouver would likely see a steep increase in the amount of money they put toward their home every month. According to the team, while Vancouver and Toronto should brace for the potential impact of further rate hikes, the rest of the country has less to worry about. “It’s important to keep in mind that those two markets are not representative of the country as a whole. 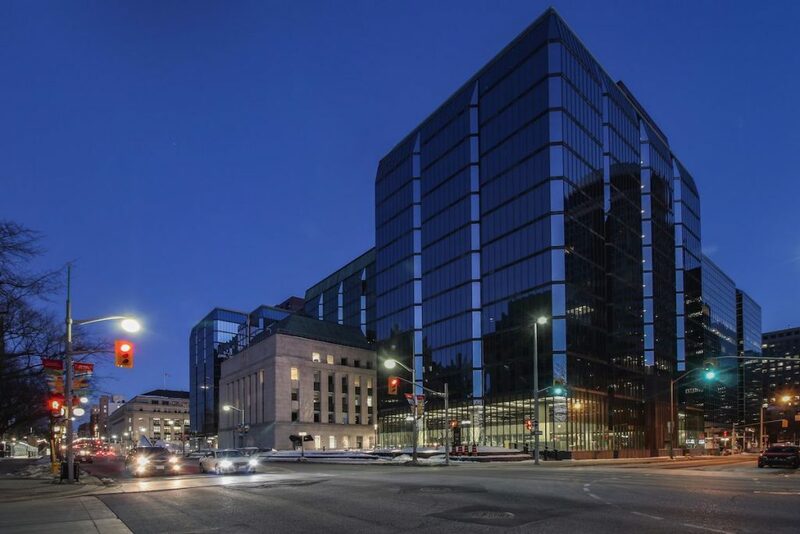 The Toronto and Vancouver markets have spilled a great deal of ink, but in the country’s other urban centres housing remains relatively affordable,” they write.